Homerecording’s popularity is growing and audio interfaces are quite a hot topic. The interface is basic equipment for your home studio, but it may be hard to choose the right one: there are so many models available on the market. Bearing this in mind, I decided to pick the 3 most promising interfaces, each from a different price range, and give them a try-out. I selected interfaces with USB connection because of their general compatibility (they don’t require additional FireWire card for non-Mac users). So, are you ready? Let’s rock! The box contains a cord, a heap of paper wasted on user’s manual and a thingy (let’s say, a flash drive) with drivers. The last one, considering the demise of CD drives, is a thoughtful solution. The interface itself is a novelty, but its construction seems to be based on ESI (ESIO is, as I recall, simply a part of ESI). The cover is made of aluminium and looks rather neat. There is a cord and some waste paper (a.k.a. the manual) in the box, so the drivers are to be downloaded from the web. That’s a drawback if you happen to have no internet. 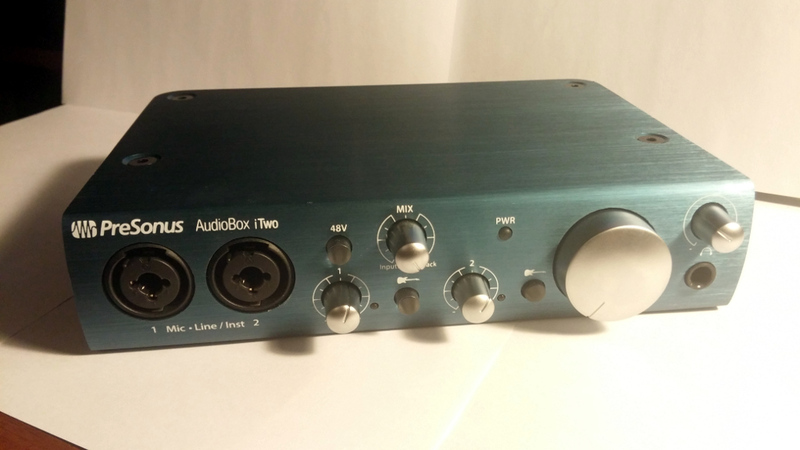 The interface comes with licence for DAW Presonus Studio One. AudioBox iOne and iTwo are the next gen of Audiobox series, the main change being iPad recording enabled. But what’s the difference between iOne and iTwo? In second case you can record with two instruments and two mics at the same time, meanwhile iOne is recording only a single instrument and mic at a time. Looking back at the previous versions you can see that the interface underwent just a cosmetic change. The cover, even though it’s made of aluminium, is not too durable. An out-of-box piece was already covered in tiny but visible scratches, so I guess that further damage is to be expected. There is a cord, a TON of waste paper and a disc with drivers. In addition you get DAW SONAR X1 LE. The model has been around for a while, but it doesn’t make it inferior to Presonus or ESIO (I’ll get to that part). The cover is made of good quality aluminium and seems to be rather tough. I’ve been using it for about a year and it still looks brand new! Installation went smoothly. The drivers, it seems, could have been written better (for example, you can’t switch to ASIO from Reaper level or set sample rate/buffer size from Reaper). The control panel lets you choose the level of input gain and the input type. It’s pretty basic but functional enough if you are willing to overlook some minor defects. Installation went with no problems. The drivers are more minimalistic than ESIO’s. Like in the case before, setting the sample rate and buffer size from reaper level is not possible. The control panel lets you set sample rate and buffer size as well. Again, it’s enough but could be improved. Installation, as expected, caused no problems, but the drivers exceeded all expectations: they simply rock and have no competition. 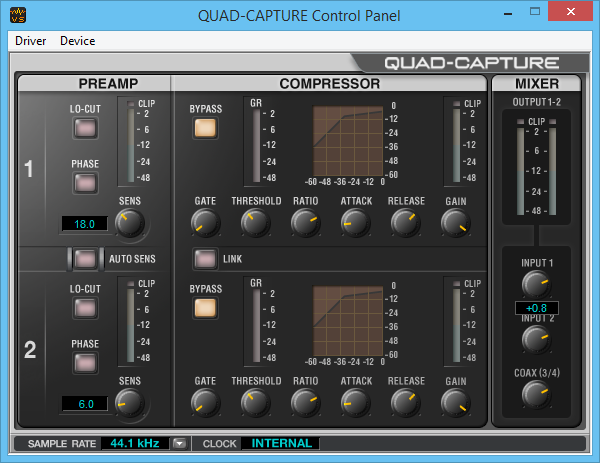 In control panel you can use LO-CUT setting (which comes in handy with vocals, etc. ), turn on phrase reversal and compression. Moreover, you can set and monitor the signal levels in every output. 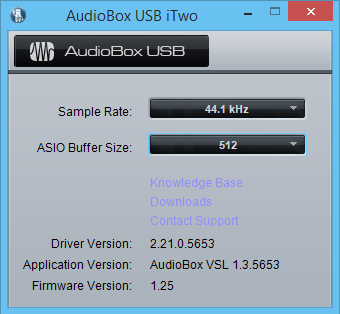 Naturally, there are sample rate and buffer size settings available. You can access most of interface settings directly from the drivers. In the front panel there’re just phantome power switch and volume control for playback. It’s not too convenient, but it surely lowered the final price. Of all tested devices, Presonus interface sports best ergonomics. Everything you need is located in the front panel. What’s nice, the volume controls’ jump (reminding the one in mouse scroll) allows you to change back to previous or neutral settings easily. Putting the switches to phantome and Hi-Z (instruments input) on the back of the interface made them less accessible; that’s a serious drawback. The auto-sans option makes up for it. 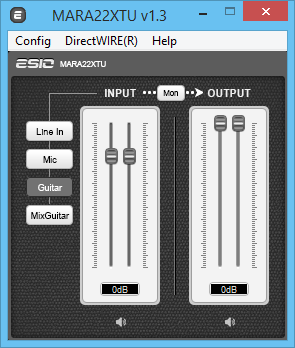 You don’t need to set the output level manually; all you have to do now is stroke the strings harder or shout to the microphone and the interface will set itself accordingly. Very good results. 2.9ms in both input and output make a total of 4.8ms. It surprised me that I couldn’t really record with two straight jacks using buffer size smaller than 512. Nevertheless, despite the large size, the reaper displayed 16ms in both I/O (32 ms total). It’s an acceptable result which enables smooth recording. It’s fine, even if not as good as ESIO. The minimal stable settings are 3.9ms for input and 8ms for output, which make a total of 11.9ms. Not bad at all. There’s no point in writing an essay here. I recommend you to listen to 4 samples from each interface. Regrettably, I had no time to compare the microphone inputs, but I assume the results would be similar. The samples come from LTD AW-7 on stock pickups (DiMarzio D-Activator) using HESU cable. Sample 1 and 2 were reamped on http://reamping-online.com/ using Mesa Boogie DR (preset). Samples 3 and 4 come as recorded directly from the interface. All DIs can be downloaded from here. Listen and decide yourself. Want to know my opinion? 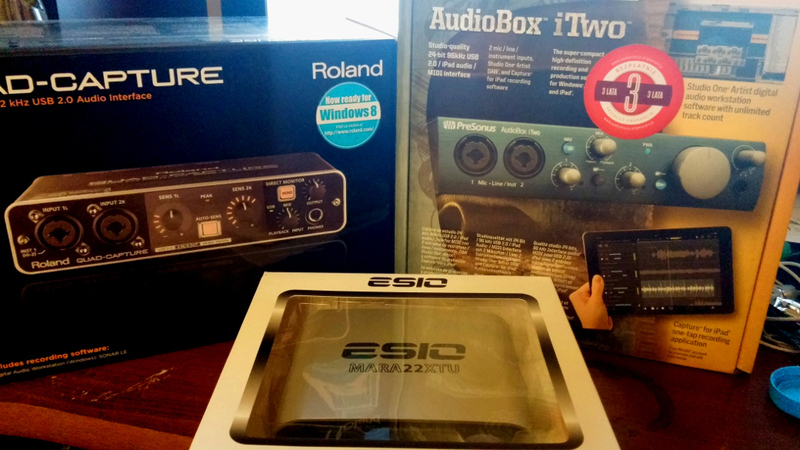 I can easily distinguish between ESIO and Presonus or Roland. However, when it comes to Roland and Presonus, the difference is really subtle (if there is any to be heard at all). Both ESIO and Presonus enable iPad recording. 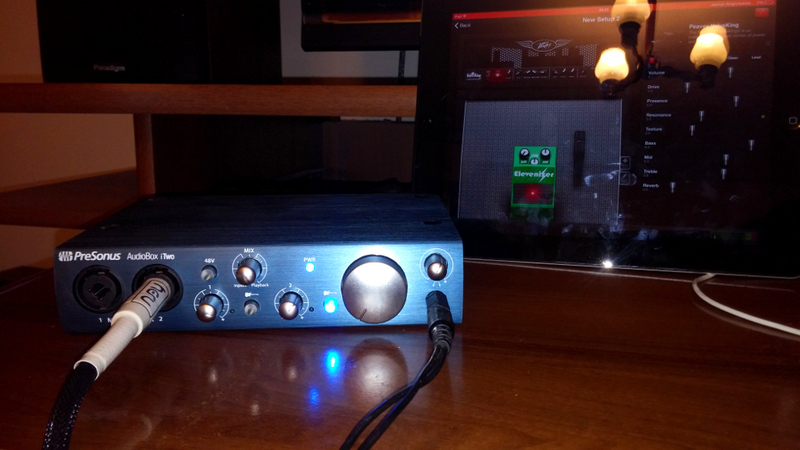 I got to test it on Presonus (ESIO requires an USB adapter) and everything worked just fine. Unfortunately, in case of Presonus you’d need an access to a source of power and a charger (iPod kind), because it has to be powered separately. I think that both interfaces could work as decent replacement for iRig and such. Each interface reviewed above is worth every penny spent. 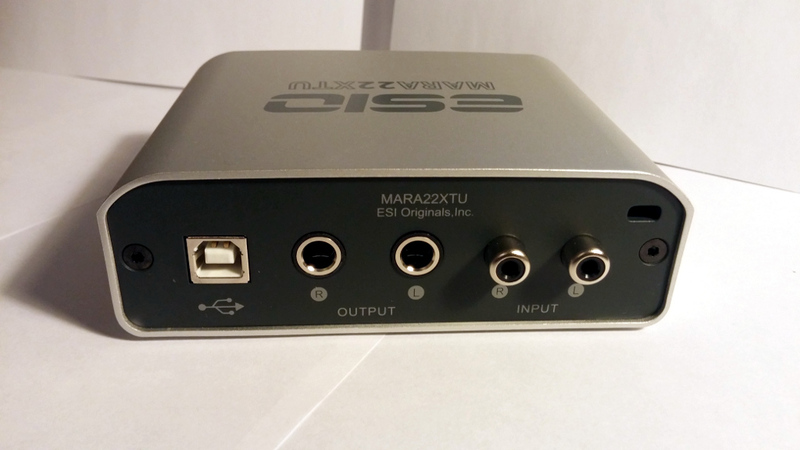 ESIO MARA 22 XTU is perfect for you if you’re on a budget and have reasonable expectations. 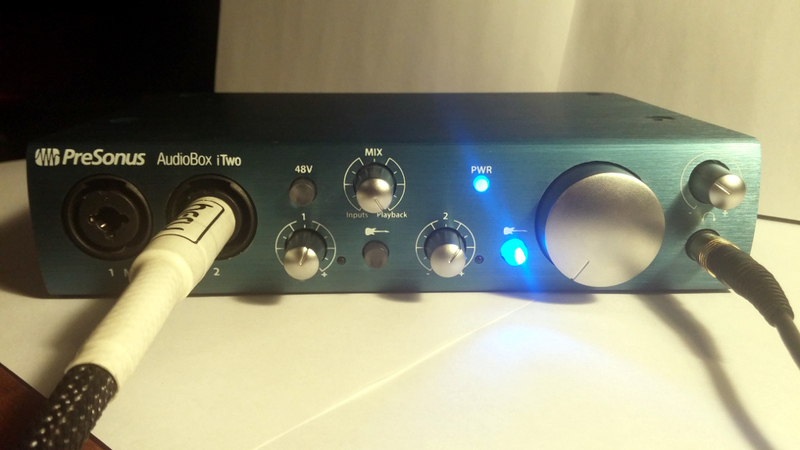 If you’d like better quality and additional options, Presonus Audiobox iTwo is made for you. 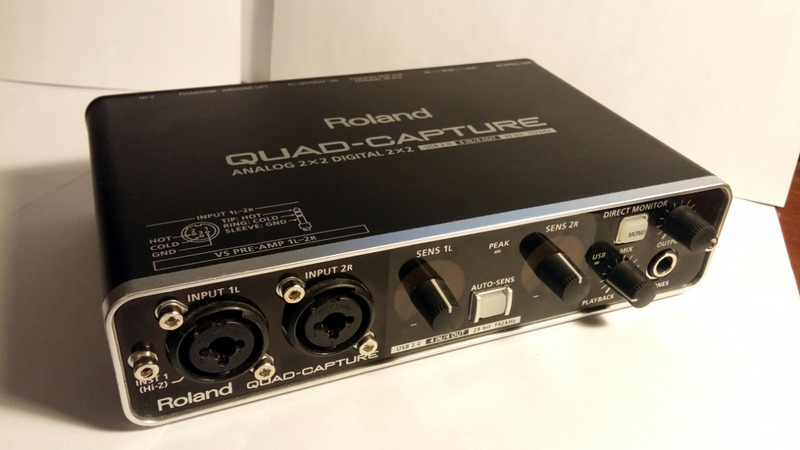 Lastly, to people who can afford it and who’d actually use the possibilities given by the Roland UA-55 Quad Capture: you will not regret it. Hi, I want to setup a home studio I have one studio mic one SHURE SM58 mic, 7input mixer,PC ,what else do I need? Hello! 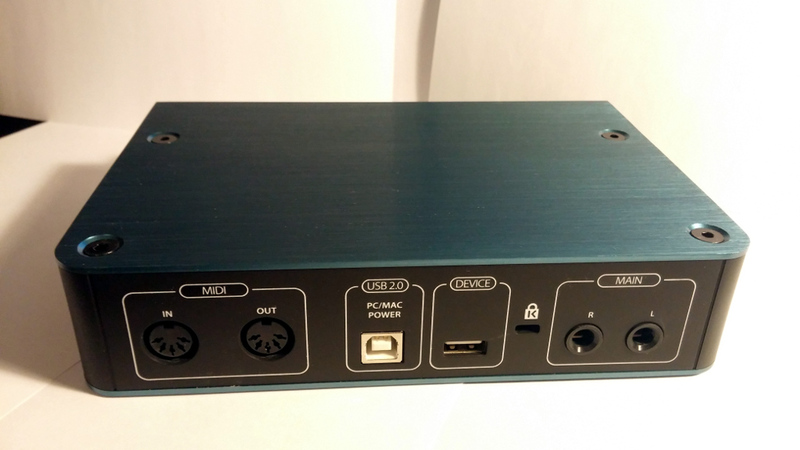 You definitely need an audio interface. But you have to consider, what features this interface should have. Option 1: If you want to record every instrument, vocal, etc. separately (not all in the same time), any of the above interfaces should be good for you. But if you need to record more instruments, you have two more options. Option 2: Use any interface with minimum of 2 line inputs (for example Presonus or Roland), to have stereo signal and record signal from mixer. Option 3: You need interface with more than 2 inputs (for example Presonus Audiobox 1818), and record all instruments as separate tracks in DAW. Of course, it’s the most expensive option, but you can edit the tracks after record (when you record signal from mixer, you can’t change mix of this tracks). I think that for home studio option 1 will be enough and after some time you can think about option 3. Option 2 is only good for recording some drafts. Of course, you can record vocals (you have SM58 for it, right? ), with any of the above interfaces. 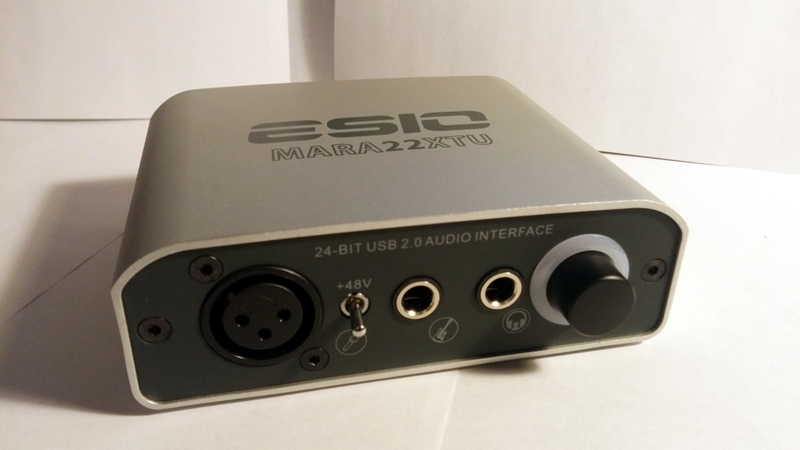 Thank you for you review, you are the only one that took the time to talk about the ESIO. I am lost and i think you are the only one that can help! 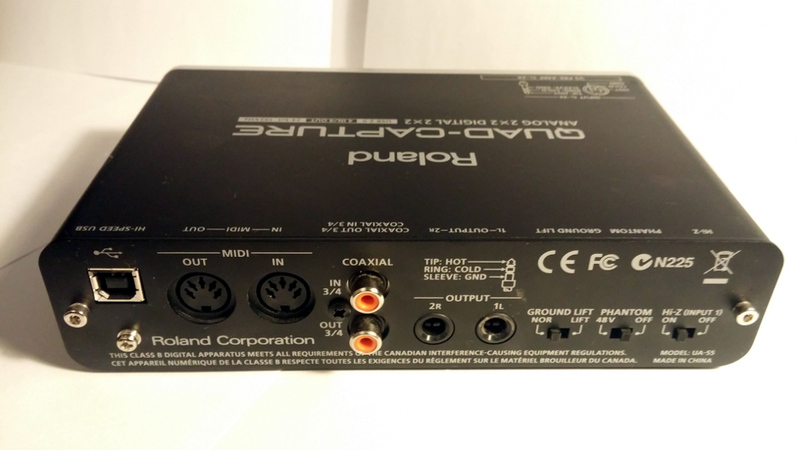 I need a sound card to output my audio from my daw and at the same time plug in my turn table via rca to record my vinyl, do yoi think the esio is the way to go? What was that ASIO comment you did about the ESIO? 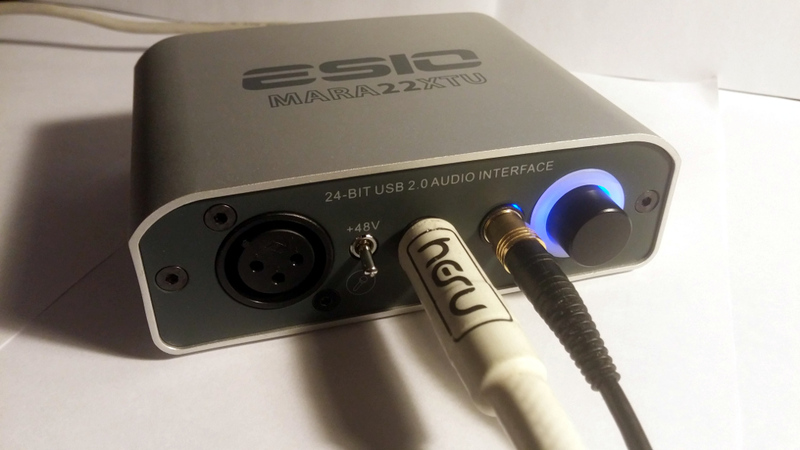 What about the esi maya 22 usb? Sorry for the ton of questions but im just super lost and i need a professional’s help!